Hey there! It’s been a little while, friends. I feel like I’ve been starting every blog post this way for the past 6 months. The truth is, is that since I started this blog two and a half years ago (whoa) a lot has changed in my life. And as I’m writing these very words I am remembering that I wrote a very similar post back in October. In that post I realized how different my life looked from the first post on The Primal Yogi. And now even since October, there have been more changes like getting engaged! So since I don’t think I will ever be ready to give up the blog completely I will just continue to contribute and share when I can. To give you a glimpse as to what I’ve been up to lately I thought I’d share some pictures from the past few months. Work has looked very different for me. I am no longer sitting at a desk all day long. I am up on my feet, educating active people on some pretty cool clothes, and developing myself and my team so that we can all follow our dreams and reach our goals. Outside of actually working I am in the community trying out new workouts with my awesome team. Bar, SoulCycle, Crossfit, you name it! And of course still getting on my mat a few times a week. It’s pretty crazy to think how just a year ago I was still in Yoga Teacher Training. The idea of me standing in a yoga studio leading a group of people through a full 60 minute sequence was still a blurry image in my mind. Fast forward one year and I am teaching two classes a week at a sweet little studio, have led a group of high school football players through an entire season of yoga classes, and now have even taught my very own workshop! The idea of teaching a workshop was a little scary to me. How can I educate a group of people on something that I still have SO much to learn about (yes, even after yoga teacher training, there is a LOT to learn). But the owner of the studio I teach at told me to just think about what I love and how I can be of service to others. I narrowed it down to combining yoga and running. Although I am no marathoner running has always been one of my chosen ways to exercise. 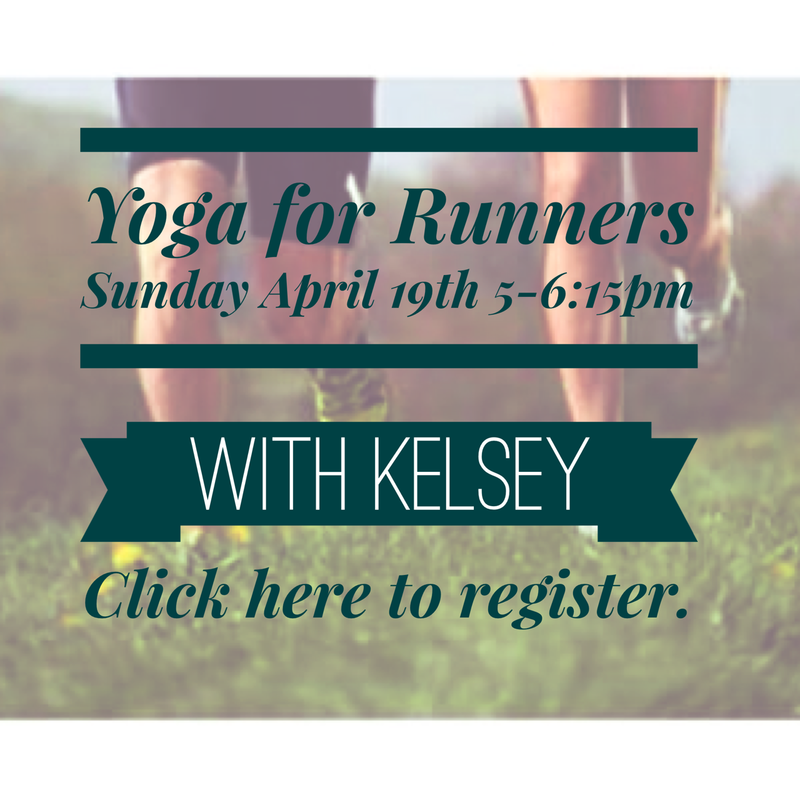 So I decided I would teach a Yoga for Runners workshop. 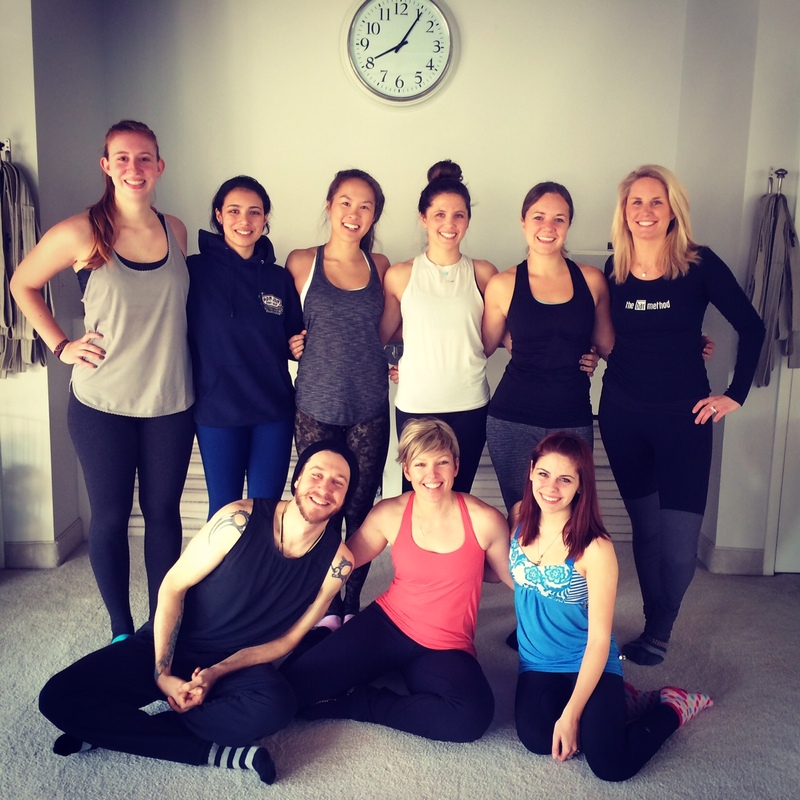 How is a workshop different than just a regular yoga class? A yoga workshop typically focuses on one aspect of yoga and breaks it down. It might be focused on certain yoga poses (inversions, twists, etc), or in my case, certain activities and how yoga can compliment those activities. There should be more information given at a workshop than you would hear in a regular class. More explanation as to why we are practicing these certain poses and their benefits. Sometimes supplementary information is given to take home as well. How did I prepare for my workshop? I took what I know from my own practice of yoga and running and also did some additional research online. I researched some statistics on running, what the activity does to and for our bodies, and how yoga can help relieve some of the strains associated with such a repetitive exercise. I planned out the sequence and jotted down specific information I knew I wanted to share. How did I promote my workshop? The studio did a lot of promoting to our existing students. Both the studio and I promoted the workshop on Facebook with some images like this one. I definitely have opportunity in simply just getting the word out to more people.